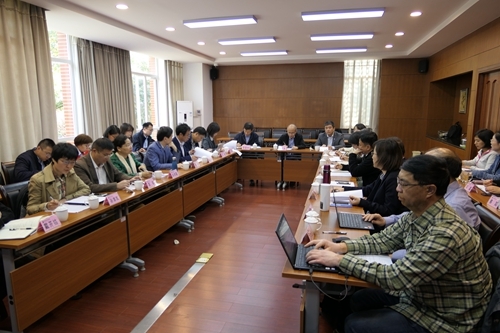 The third work meeting on biodiversity of the Chinese Academy of Sciences (CAS) was held in Kunming on March 28. Prof. ZHANG Yaping, vice president of CAS, was present and made speech. According to the participants, the CAS will actively getting involved in the organizing and preparation work of the 15th meeting of the Conference of the Parties to the Convention on Biological Diversity (COP 15). It urges all related institutes to get fully prepared. 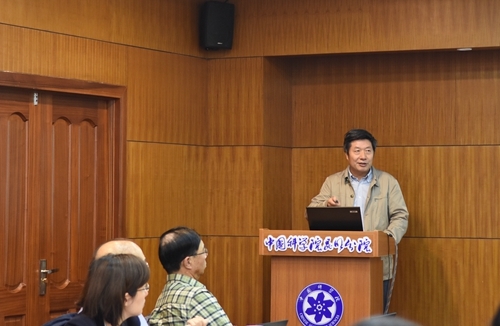 Prof. CHEN Jin, director of Xishuangbanna Tropical Botanical Garden (XTBG), made a report concerning a plan for CAS core botanical gardens to be involved in preparation for COP 15. He talked from such aspects as biodiversity forum on Southeast Asian biodiversity, world plant conservation, setting up the Alliance of International Science Organizations (ANSO) Botanical Gardens Union (ANSO-BGU) in the Belt and Road region, and contribution to China program, etc. CAS vice president ZHANG Yaping said that COP 15 is both challenge and opportunity for CAS institutes. It is an important platform to display CAS efforts to study and conserve biodiversity. He urged all related institutes to highlight and make contribution. The participants also put forwards suggestions. 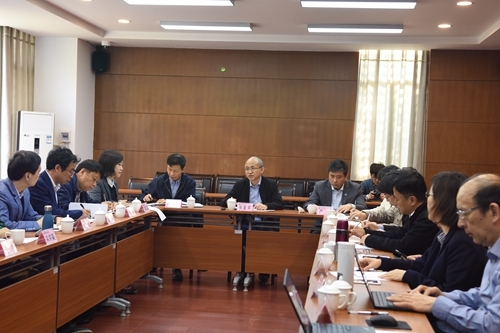 They talked about importance of traditional knowledge and culture on biodiversity conservation and utilization, conservation of important seed resources; use of DNA barcoding in biodiversity conservation, etc. Prof. MA Keping, vice director of CAS Biodiversity Committee, will lead a group to work out a plan for CAS to participate in COP 15. CAS vice president ZHANG Yaping chairs the meeting. Prof. CHEN Jin makes work report.